Beautiful bracelet. Seller was very accommodating and quick to get back to me with any questions I had. Shipped very quickly. My niece loved it for her baptism. Thank you!! The flower girl loved this! 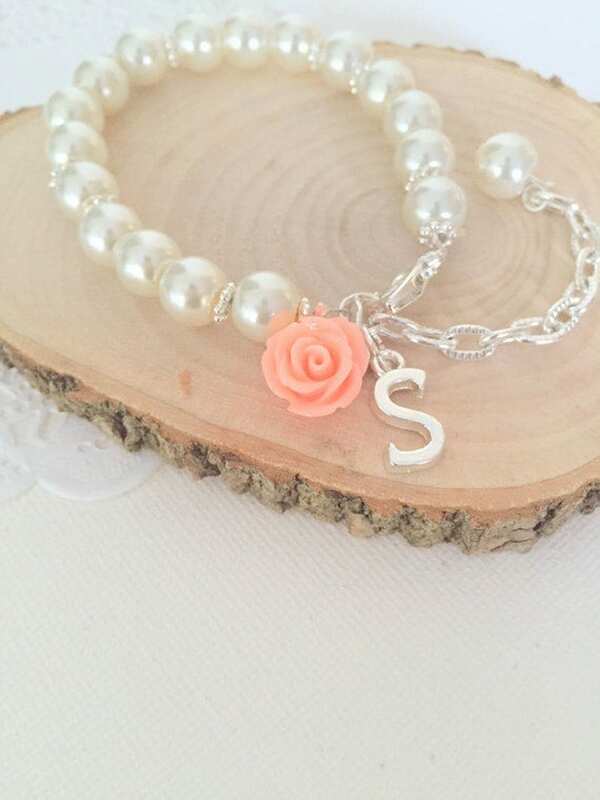 Flower girl, flowergirl, stretchy, bracelet, initial, customized. CHILD sized. Blush pink, silver, heart. 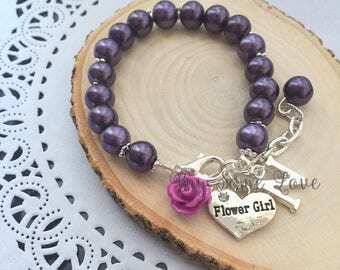 Flower girl bracelet, rose bracelet, ring bearer bracelet, flower girl jewelry, rose jewelry, flower girl jewellery, eggplant rose. 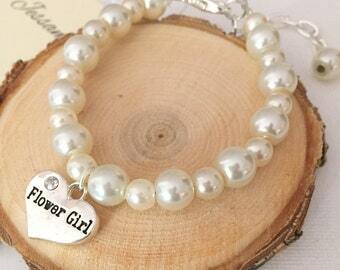 Flower Girl, bracelet, adjustable, glass pearl, personalized, bracelet. Choose rose. Comes with FREE card and organza bag. 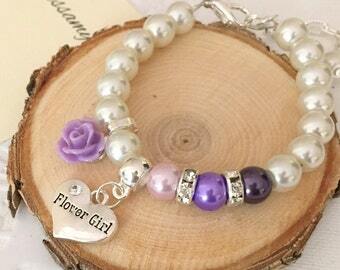 Flower girl rose, stretchy glass pearl rose bracelet. Design your OWN. CHILD sized.